December 17 - another saison! 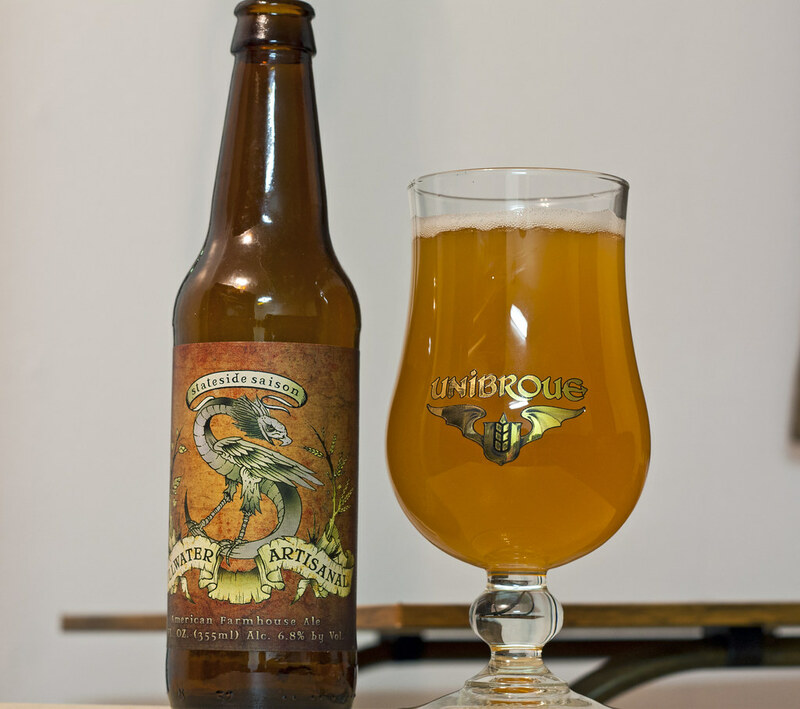 Tonight's saison is by the folks over at Stillwater Artisanal Ales out of Maryland. Their Stateside Saison (Farmhouse Ale) is described as "paying homage to old world tradition while celebrating new world innovation. Naturally brewed with the finest European malts & fresh aromatic hops from the United States & New Zealand. It’s then fermented using a classic farmhouse ale yeast and bottle conditioned to enhance stability. The outcome is a beer of unique design and exquisite taste, showcasing some of the best attributes of modern-day craft brewing." That sounds like a winner in my books! Appearance: A cloudy orange saison, reminiscent in appearance to a strong fruity witbier, like a witbier full of oranges. Decent amount of carbonation, a light beige foam head. Aroma: A bit light to le nez but a nice sweet and citrus aroma. A great amount of Belgian yeast that gives it that bready zing to it, a touch of coriander, lemons and a touch of artisanal love! Taste: A bit of a sour citrus (lemon) flavour to it, a good amount of Belgian yeast. Quite fruity with a hint of oranges and coriander, slightly herbal, slightly grassy. A bit watery to the palate but overall a decent saison. Overall Thoughts: Lightly sour saison with a good deal of Belgian yeast and citrus flavours give it a nice punch, which I love in all saisons. Considering how many breweries are making saisons now days, it's still impossible to find saisons on tap or bottle at pubs.. at least here in Manitoba. However, if you do a road trip down to North Dakota, the folks over at Souris River Brewing in Minot have a great saison on tap! 6.8% ABV. Oh and remember that band Stillwater from Almost Famous? They rocked, didn't they? !